The first conclave of the finance ministers of the South Indian states happened in Thiruvananthapuram on 10th of April. The meeting was called upon by the Finance Minister of Kerala to discuss the Terms of Reference (ToR) of the 15th Finance Commission. The meeting happened in the background of an outcry by several South Indian leaders across the political spectrum opposing the ToR for its use of the population based on 2011 Census for calculation of the allocation of funds between the Centre and the States. This is in contrast to the provisions by the earlier finance commissions since 1972, which used the 1971 Census as the baseline for such calculations. The South Indian states argue that they are being penalized for successfully implementing a national policy since the 1970s that aimed at bringing down the population growth rate. They also argue that such a re-allocation has drastic economic implications in their states as the share of central funds will decrease considerably. Such provisions may also affect the federal structure of the country. The meeting concluded with a plan for another meeting at Vishakhapatanam later this month with the inclusion of more states such as Punjab and Himachal Pradesh which would also be affected by the ToR. The rise of the share of elderly in the southern states is a natural consequence of the continuous reduction in fertility rate since the 1970s. The fertility rate of the Southern states is around 1.7 to 1.9 children per women. This is much lower than the replacement level of fertility rate of 2.1 per women, a level of fertility rate at which the population neither increases nor decreases. This is in contrast with the fertility rate of the states in the Hindi-heartland such as Rajasthan, Uttar Pradesh, Bihar and Madhya Pradesh where it is above 3 children per women. Consequently, the share of elderly in these southern states are above 10 percent of the population, whereas it is just around 7 percent in the Hindi-heartland. According to the latest Census, the South Indian states have around 19 million persons above the age of 60. This is expected to increase to 70 million by 2051. Feminisation and ruralisation of ageing are an important characteristic of the rising elderly. This means that the share of females and rural population in the total share of elderly population is higher. Along with the fading of traditional family support system and rapid urbanization, such features of population ageing may push the elderly into vulnerable position in the absence of adequate social support systems. Grave labour shortages in many sectors in the southern economy is also a visible consequence of such demographic changes. Such a shortage also explains why the internal migration of labour from North to South India is higher. 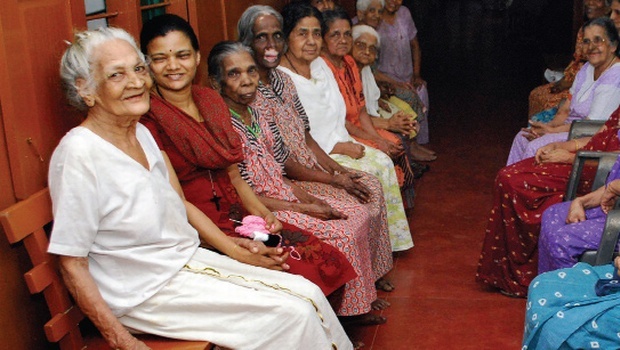 An important consequence of such high share of elderly population is that the old-age dependency ratio among the South Indian states is higher and is expected to increase in the coming years. This means that the number of elderly that needs to be supported by the younger labour force is higher. A shortage in working age population means that there is lower amount of disposable money with the population and thus lower spending in the economy. At the same time, it is clear that the social security expenditure of the South Indian governments should necessarily rise. In the absence of adequate health-care and pension schemes, the elderly would be pushed into further vulnerability. This will further increase these governments' expenditure and it is important that the respective governments are prepared and committed for such expenditure. Central schemes on elderly are minimal given the needs of the states and the support of the elderly is primarily the responsibility of the state governments. In a federal structure of governance, it is important that the principles of fairness and equity in distribution of public resources is considered. The major parameters decided by the 14th Finance Commission for the allocation of resources was based on the ‘backwardness’ of a state and the population of the state and thus it had already taken into consideration the needs of many northern states. However, if the 15th Finance Commission decides to use the 2011 Census as the base for its calculations, backwardness of a state become the chief criteria of evaluation. Such an arbitrary change in calculation of revenue sharing would not be sensitive to the fact that the South India is drifting towards higher population ageing. The needs and priorities of South Indian states are thus different and a reduction of funds for these states would not be in line with the principle of respecting the diversity of the country.